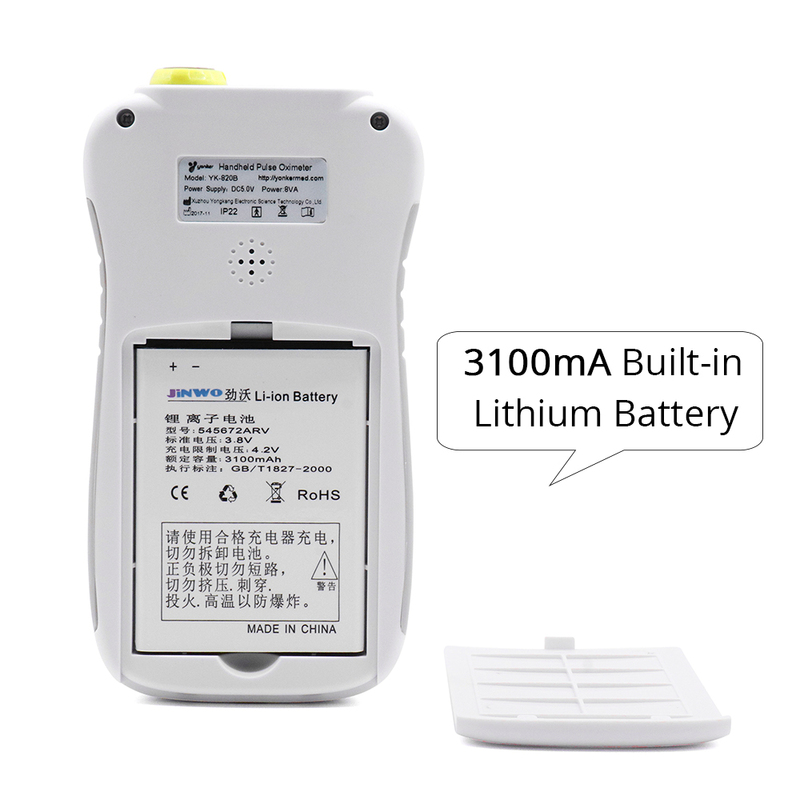 3100mA BUILT-IN LITHIUM BATTERY - Built-in high-capacity battery, long-lasting, rechargeable and replaceable lithium battery make your work and travel more convenient. 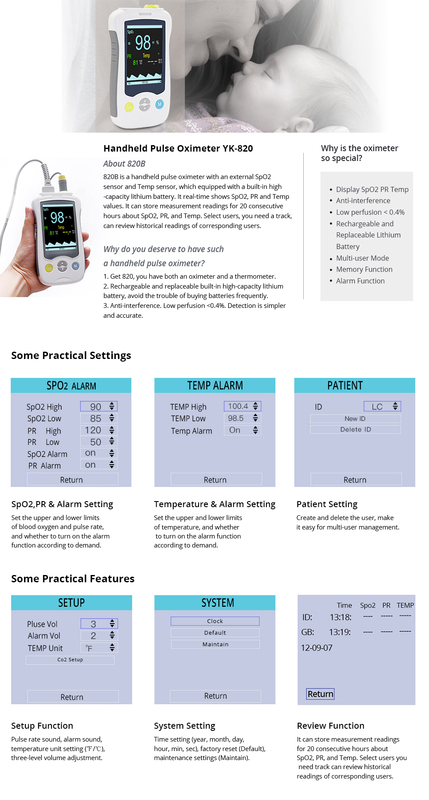 MENU FUNCTION SETTINGS - time, the upper and lower limit of SpO2, PR and TEMP, SpO2 alarm, TEMP alarm, temp unit °/ °, create or delete multiple patients, PR volume and alarm volume. 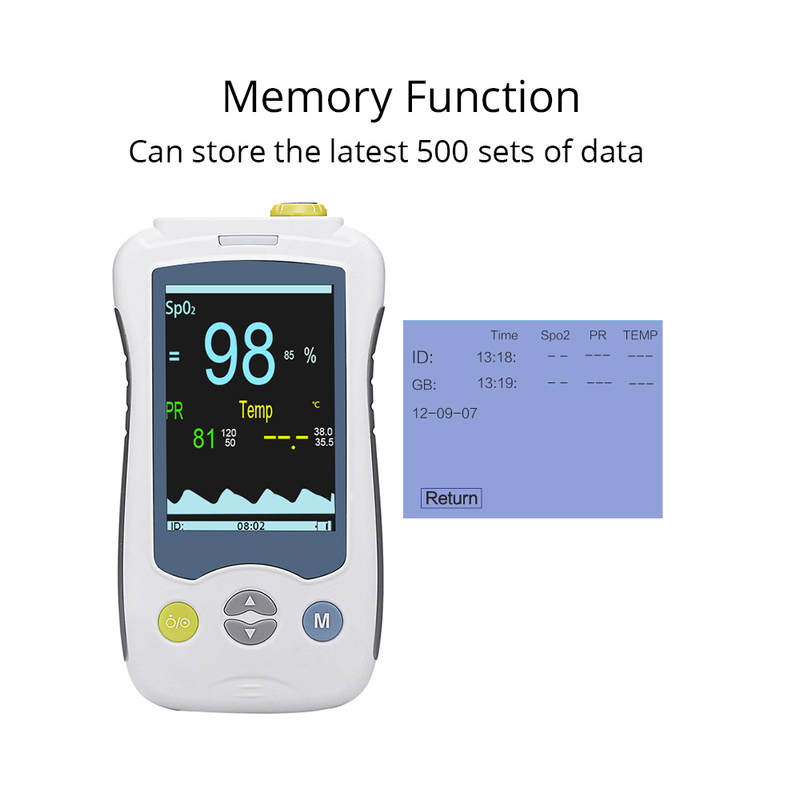 MEMORY FUNCTION - The oximeter can continuously measure and store 20 hours of data for a single patient, set the monitored patient ID, facilitate user retrospective analysis, and track changes. 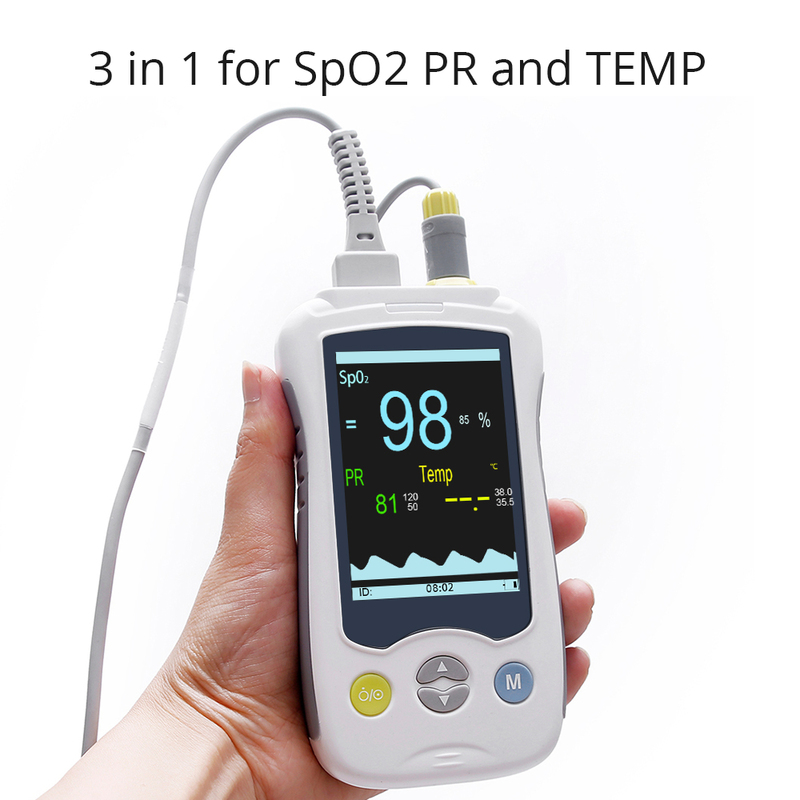 2 IN 1 - One machine with SpO2 probe and TEMP probe to measure SpO2,PR,TEMP.Low perfusion <0.4%. Anti-interference. 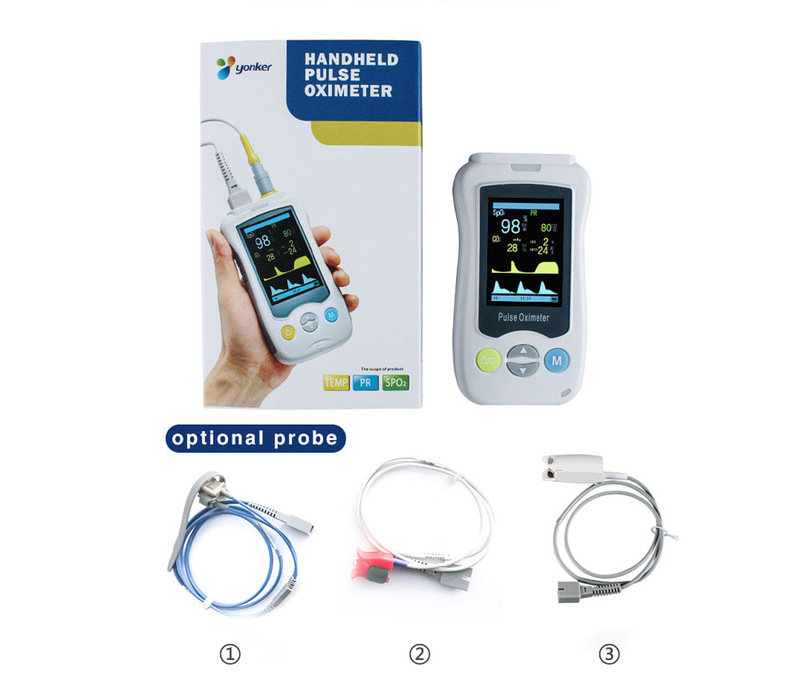 Detection is simpler and more accurate. Q: Does this plug in or run on batteries? 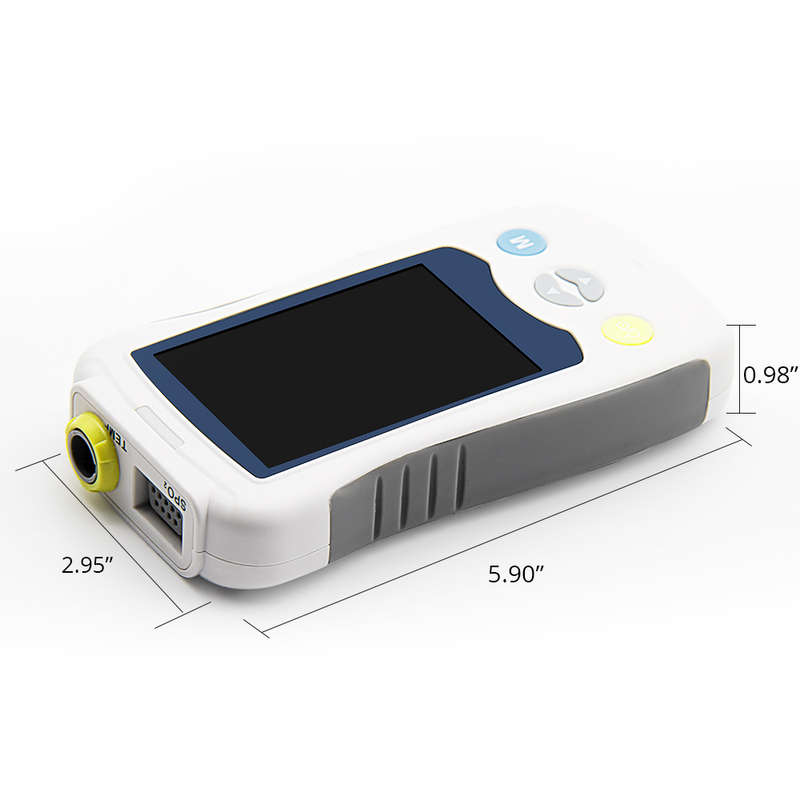 A: It is powered by rechargeable and replaceable lithium battery. The screen displays the battery level every time. 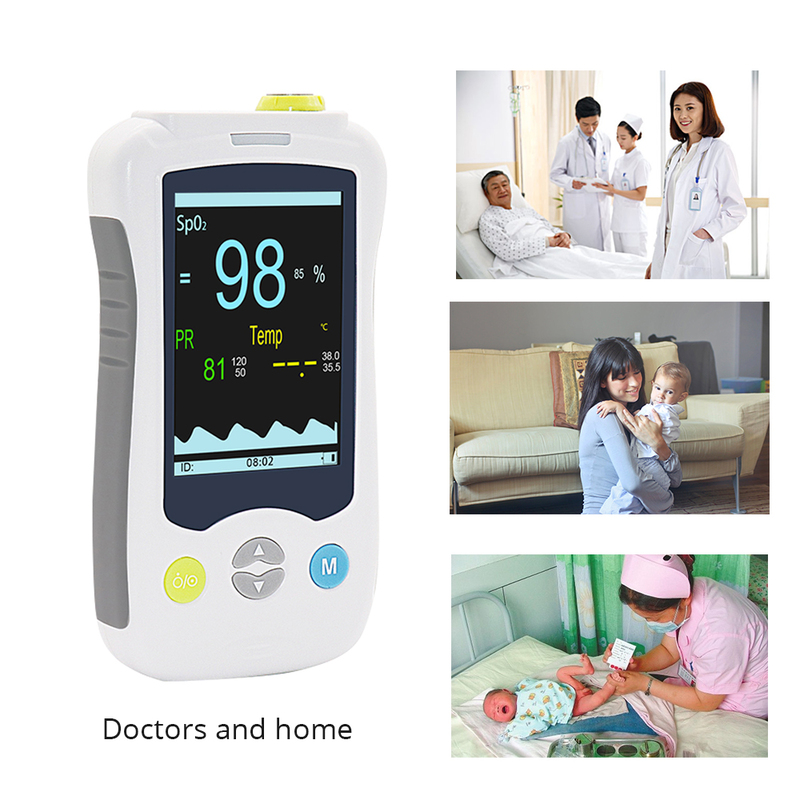 Q: I see the display has "temp" on it, is this also a thermometer? 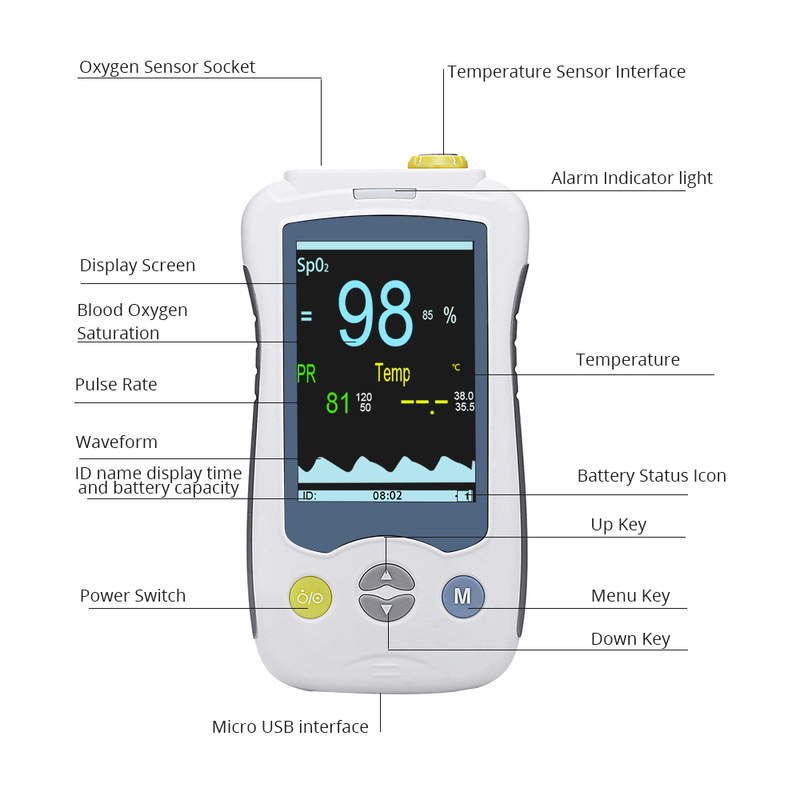 A: It is a handheld pulse oximeter with SpO2 and Temp sensor. So it is not only an oximeter but also a thermometer. Q: Is the alarm loud and is it continuous until turned off? A: Yes, it is really loud, and continuous until turned off or until the situation comes back to a normal situation. You can set volume and whether or not turn on according to your needs. 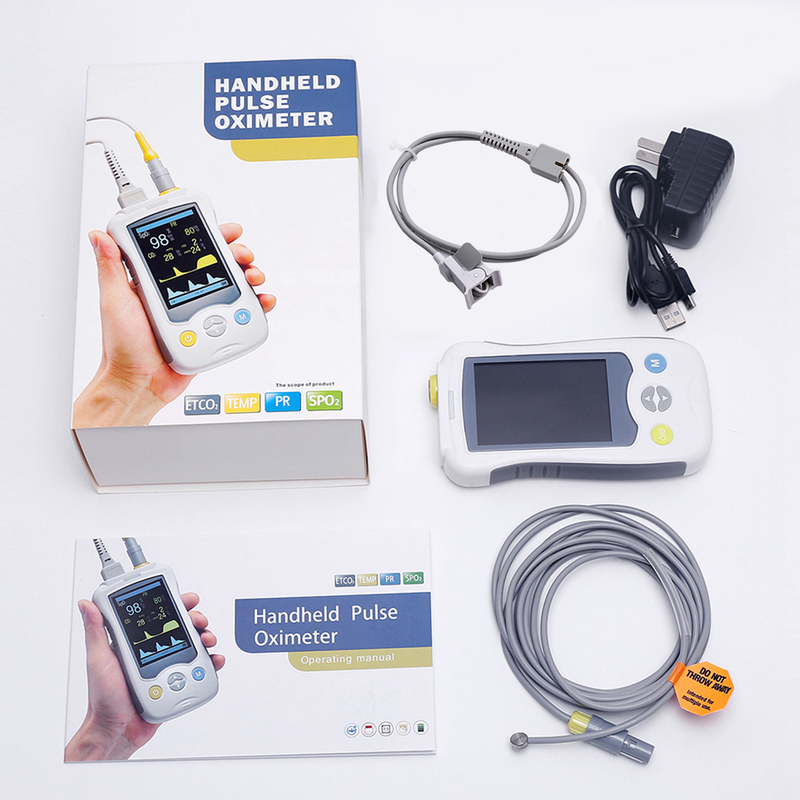 Q: What is the pulse rate and oxygen saturation range? 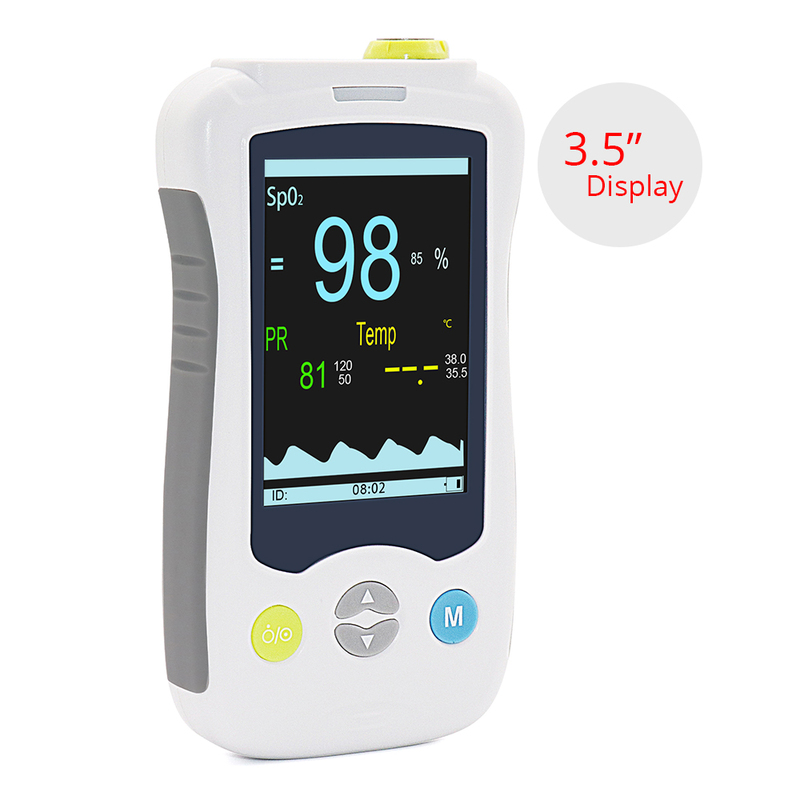 A: Oxygen saturation range: 0～100%, if the oxygen is below 90%, we suggest going to the hospital immediately. Pulse rate range: 30～240bpm. 1. 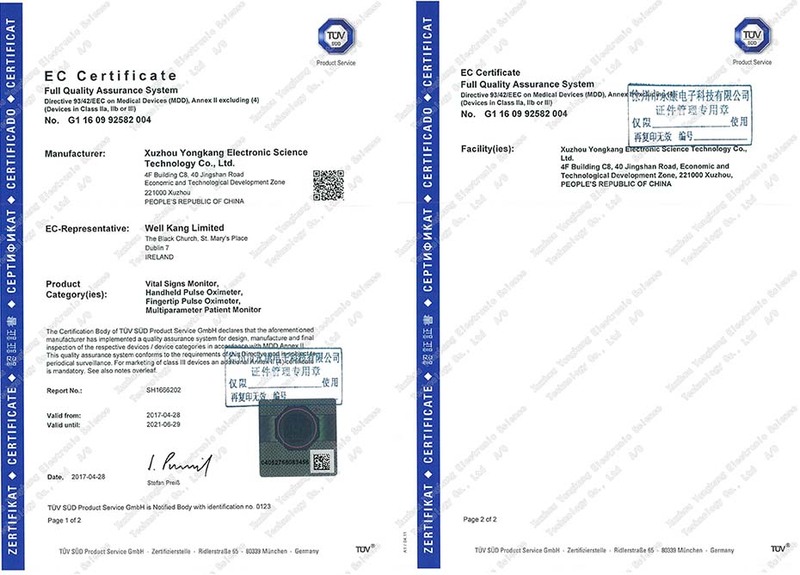 Part of the product for the multi-color, please select the desired color,we will send the goods according to the order. 2. Package will be sent out within 6-72 hours, but the final receiving time is depends on your local customs clearance. 3. 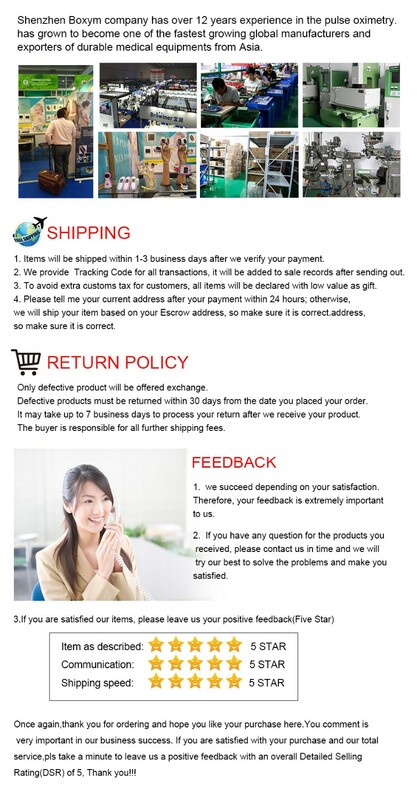 All the goods we will declare as a gift, will not produce other extra tariffs, please rest assured to buy. 2. Please select the plug type of the power supply at the time of purchase. 3. 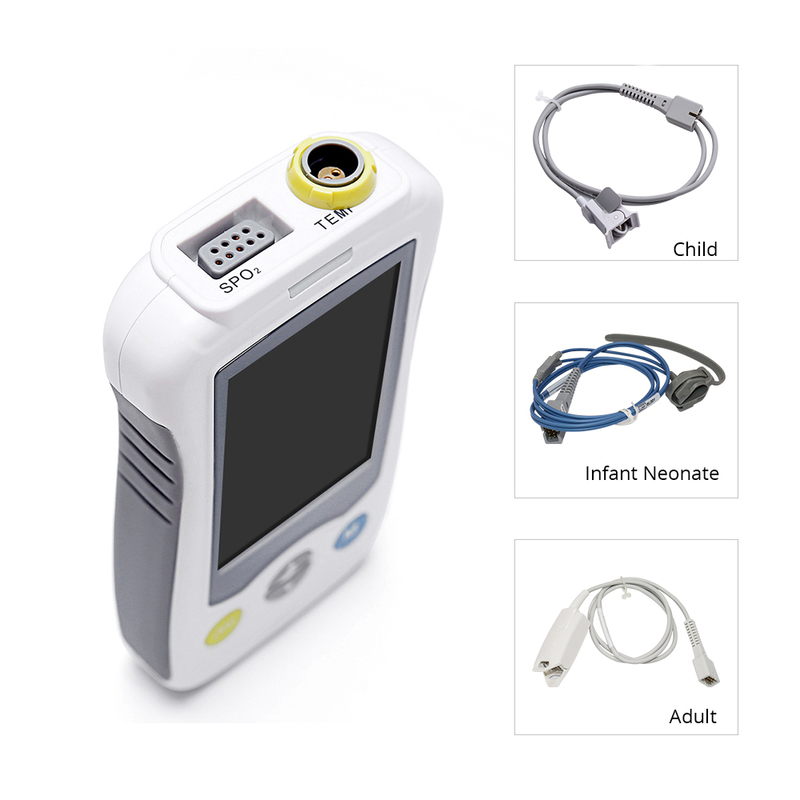 The product has approved by CE, TUV certificate, Professional inspections, and clinical tests. 4. If People\'s SpO2 value is under 90%, we suggest go to the hospital and accept professional treatment in time.